The Sheltowee Business Network leadership team is made up of a diverse group of entrepreneurs. Although the team holds titles that the outside world can understand, the team works in a collaborative and respectful fashion, as peers and partners. Alex Day is a co-founder and CEO of the Sheltowee Business Network LLC. Alex's academic background is in physics, mathematics and Russian language. Alex founded his own company in 2000 and has helped to start dozens of companies since then. Alex has been instrumental in the state of Kentucky in the area of plant made pharmaceuticals and has assisted in raising over $50 million in capital for his client companies. Alex is passionate about science, entrepreneurism, the outdoors and his faith. Alex has managed venture capital funds and understands what it is like to be on both sides of the table, both as an investor and as an entrepreneur seeking investment. Alex is interested in developing and deploying systems and programs that will significantly enhance the entrepreneurial ecosystem and have a strong impact on that ecosystem in his home state of Kentucky and around the country. JR Rose is the President of the Sheltowee Business Network LLC. He began helping entrepreneurs and start-up companies in 1990, providing them with financial, operational and leadership services. He was involved in start-ups dealing in secure underground data storage centers, alternative energy sources, computer-human interfaces, software coaching systems, video-streaming, intelligent content selection software, and educational broadcasting among others. JR started out as a CPA at one of the major accounting firms. JR is a member of the Keiretsu Forum Midwest and has been active in angel investing. Dawn Marie Yankeelov is the Chief Communications Officer for the Sheltowee Business Network LLC. Dawn brings clientele an in-depth knowledge of marketing, advertising and public relations tied to web strategy and business planning. She has run her own award-winning marketing firm, Aspectx, since 1989, specializing in high technology and health care. In 2014, she founded TALK, the Technology Association of Louisville Kentucky, an independent, employer-led tech council, active in tech public policy, STEAM, and workforce development issues. She serves as its executive director and chairman. She was presented the Rose Award in 2015 by the City of Louisville for establishing a new tech event called Techfest under TALK, which also won a Google ecity award for the region. She is an active participant at the national level in TECNA, the Tech Councils of North America. Through her advocacy, the Kentucky Department of Education, and Jefferson County Public Schools worked with TALK and NICERC to establish the cyber engineering pathway for 9th-12th graders in 2017. Yankeelov is an accomplished journalist, and has contributed to business and online publications, including Louisville, Business First, The Lane Report, Proud Green Building, and Tech Republic. She has assisted as a key organizer and speaker for a wide range of technology conferences for TALK, Public Relations Society of America, and other organizations. 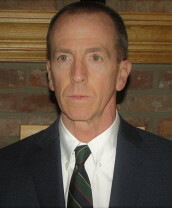 John Cianciolo is the Chief Financial Officer of the Sheltowee Business Network. Over the course of his 30+ year career, John has filled nearly every role across the finance spectrum in mature public companies, startups and companies of various stages in between. He relies on clear communication skills and attention to detail to serve as a consultative resource to company leadership, and to work effectively with bankers, auditors, attorneys and members of the operations value chain. John is a Chartered Financial Analyst and member of the CFA Society of Cincinnati. As anyone in business will tell you… relationships are the keys to success. How well you build relationships will determine how well they will build your business. And that’s where Bryan comes in. 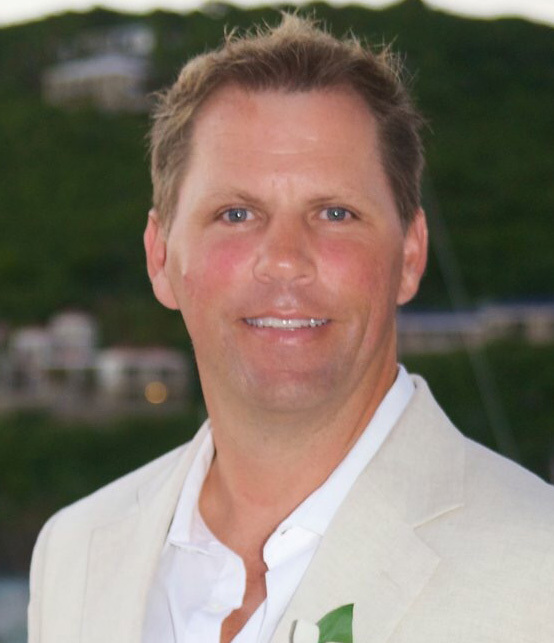 Bryan Welage is the Chief Connections Officer for the Sheltowee Business Network LLC. His vast, versatile background has helped enrich countless relationships across the globe. Finance, Real Estate, Entertainment, Product Design & Manufacturing, Consumer Package Goods, Pharmaceuticals, Minerals & Natural Resources are just a few of the industries where Bryan has helped cultivate enormous success. As an Academic All-American athlete in college, Bryan’s competitive spirit is evident throughout his professional life and has been the driving force behind numerous successful startups, exits, mergers and acquisitions. His unique, sophisticated, entrepreneurial expertise makes him an invaluable partner when connecting people, ideas and business. Robert G. "Bobby" Clark has been a speaker, trainer, entrepreneur and developer of social enterprises. He launched his first business in 1987 and operates a publishing company for more than 30 years. He is: (1) founder & president of Sustainable Business Ventures, a 501(c)(3) non-profit; (2) one the founders of the Kentucky Chapter of the Social Enterprise Alliance; (3) co-founder and president of the Kentucky Entrepreneur Network and conducted a study of the Entrepreneur Climate in Kentucky; and (4) co-founder of Midwest Clean Energy Enterprises (MCEE) that provides grant writing services for small business in rural communities get USDA Rural Energy for America Program (REAP) grants to get 25% of the cost of energy efficiency and renewable energy projects. He is co-founder of the Kentucky Entrepreneur Hall of Fame started in 2010. He created a Green Entrepreneur program that has been provided training and business plan assistance to 16-24-year-old low income youth; to low-moderate income families for the United Way of the Bluegrass; and to difficult-to-employ individuals including inmates at Southeastern Correctional Institution in Lancaster. He is Vice-President Bluegrass Forever Green and division of Bluegrass Tomorrow, an 18-county central Kentucky organization that connects, unifies, and motivates the current and future stakeholders of the Bluegrass Region. Bobby has made presentations at several national conferences including the American Correctional Association, the Sustainable Disaster Recovery Conference and the National Correctional Industries Association. 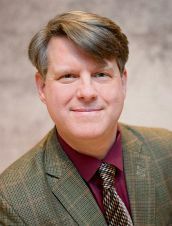 Paul Wright, MBA is founding mentor in Sheltowee Business Network, a consultant, trainer and coach to pioneering leaders and mission organizations. Wright offers a 20-year career in community economic development financing where he deployed over $50 million of both private and public funds into high impact/risks projects. From urban economic revitalization projects, to main street businesses, Wright has helped structure loan/grant/equity mixed investments and funds. He is co-owner of Wright Venture Services, LLC, a consulting company serving entrepreneurs, foundations and community economic development organizations with their marketing, strategy and programs (www.wrightventureservices.com). His specialty is in building entrepreneurial ecosystems and mentoring the next generation of entrepreneurs. Paul’s hobbies include long-distance trekking and is the only SBN member who has completed all 323 miles of the Sheltowee Trace, Kentucky’s longest trail. He currently resides in the foothills of the Appalachia with his life/work partner and four children.